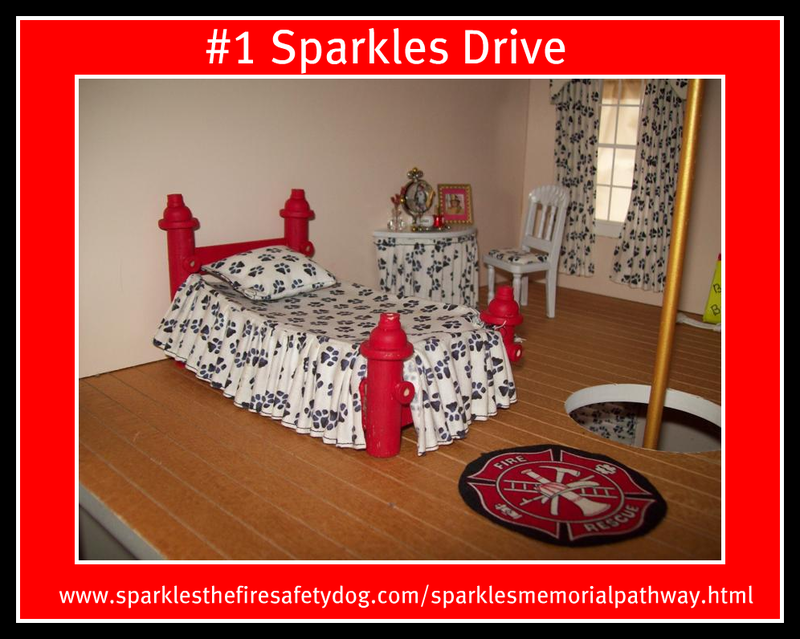 Fire Safety Rocks: #1 Sparkles Drive finished after months of construction! 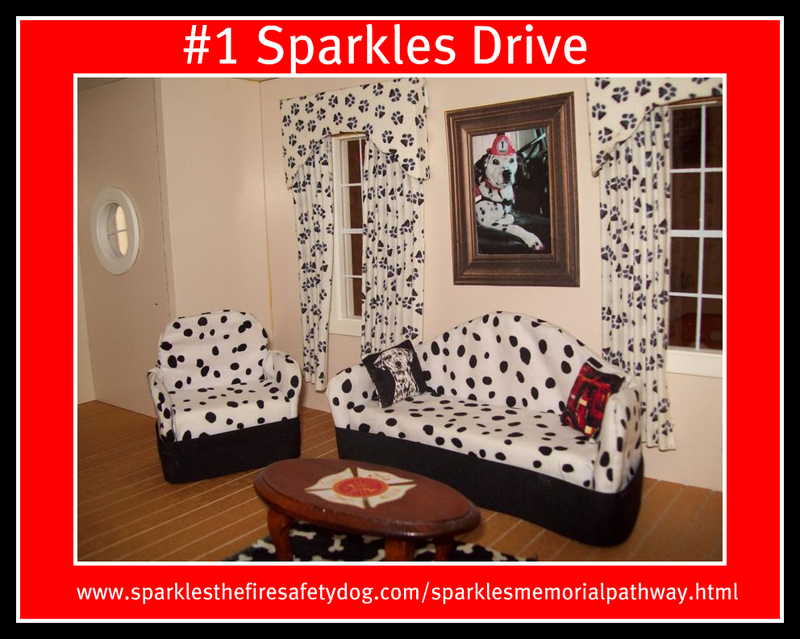 #1 Sparkles Drive finished after months of construction! #1 Sparkles Drive is now complete, thanks to the wonderful craftmanship of Susan Heikkila of the Ward Fire Department (AR)! 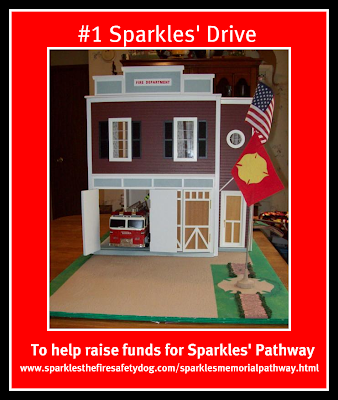 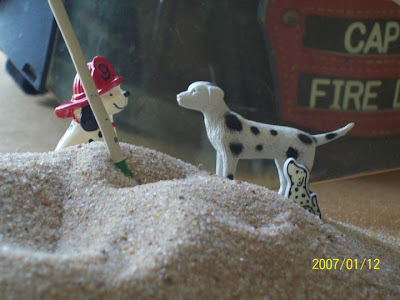 #1 Sparkles Drive is a 1/12th scale model of an old fashioned two story firehouse, complete with pole. According to Susan, this little firehouse is "big on love and craftsmanship." 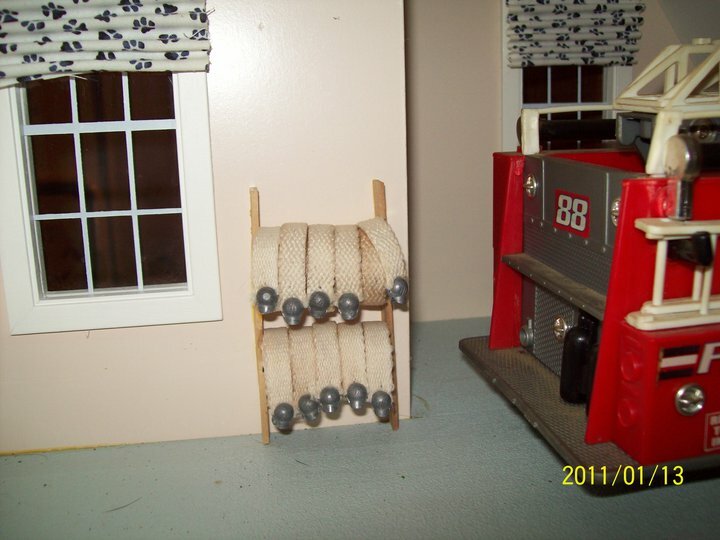 And no wonder! Susan's passion for this project, along with her friend Schwabb of Suzanne’s Dollhouses in O’Fallon, MO, was fueled to help will help raise funds for Sparkles’ Pathway, a section of the Walk of Honor® at the National Fallen Firefighters Foundation®. The walkway will honor Sparkles the Fire Safety Dog and her work with children and fire safety, and will help keep her memory alive in all the hearts that loved and knew her. 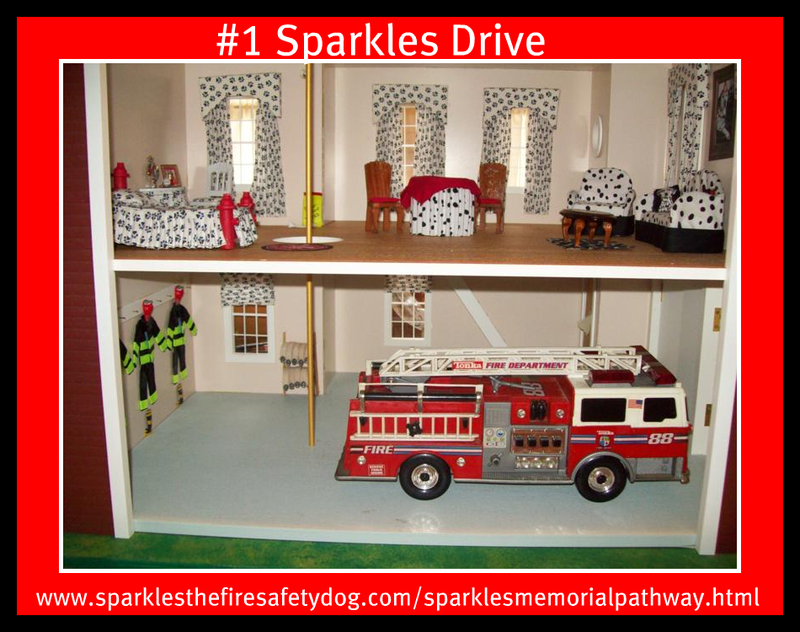 This firehouse will be raffled off in July. 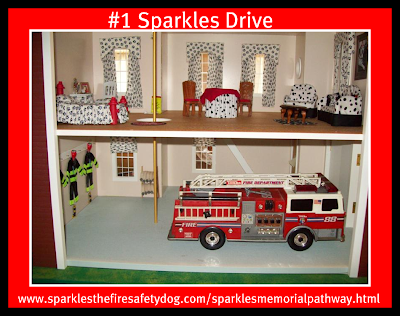 Stay tuned for upcoming information regarding the raffle. 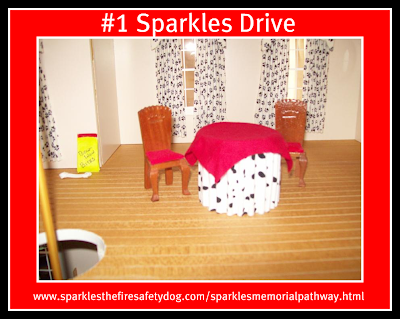 To learn more about Sparkles’ pathway, visit http://www.sparklesthefiresafetydog.com/sparklesmemorialpathway.html and the National Fallen Firefighter’s Foundation, visit http://www.firehero.org/. 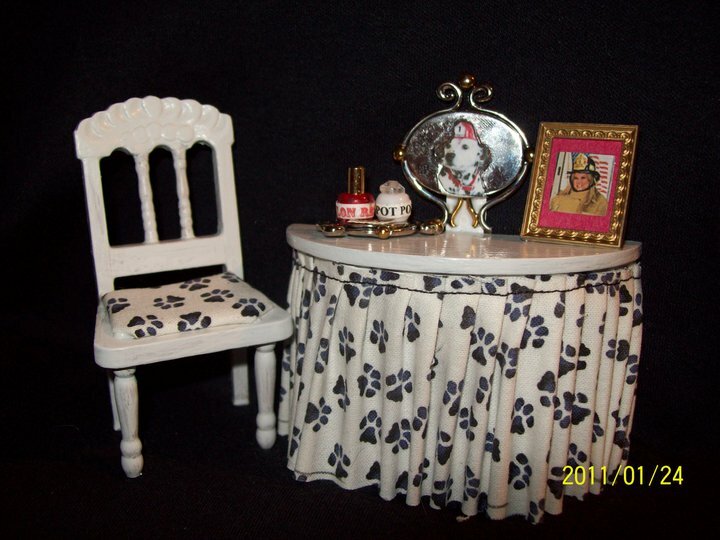 Thank you Susan and Suzanne for this amazing gift!